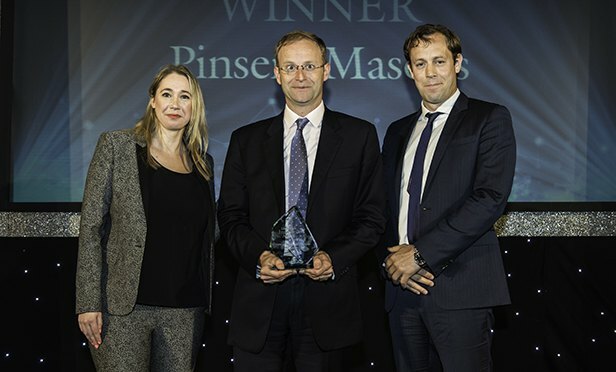 Pinsent Masons claimed its second award for its PR and communications work in promoting the Cerico brand — an online regulatory compliance solutions business that it co-founded in 2012 and in which it bought a majority stake last year. The PR challenge: regulatory restrictions meant Cerico could not be explicitly marketed as a Pinsent Masons product, while previous marketing efforts had concentrated on promoting the product to chief information officers or chief technology officers by trumpeting the science behind the tech. Pinsent Masons’ marketing team recognised it needed to be targeting general counsel and heads of legal instead, and focusing on how the product would benefit them. The comms team resolved these issues by establishing a clear visual link between the Pinsent Masons and Cerico brands, and by rewriting all marketing materials in language that general counsel would understand, as well as revamping its website. All of this had to be delivered to a tight deadline and with practically no external spend (a rebrand of this scale carried out externally would typically cost at least £20,000 to £30,000). “A brilliant effort given the rare combination of challenges — notably the timeframe and budget — the comms team faced,” one judge said. Click here to return to the full list of winners.